Although Ravinia always draws some casual fans due to its unique ambiance and large donor community, I have to assume the vast majority of those gathered on Monday night--particularly in the pavilion--were far more devout followers of Jethro Tull than I.
I've long heard of the British band, and have always liked their classic rock staples such as "Aqualung" and "Locomotive Breath," but never owned any Jethro Tull music or knew more than a handful of songs. 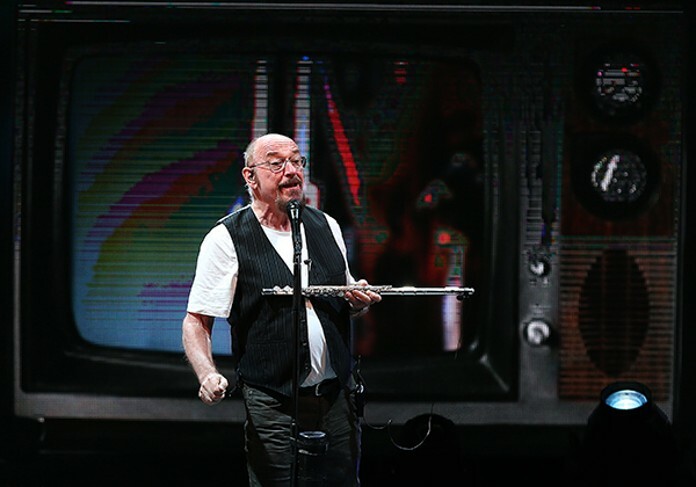 Neither had I ever seen Jethro Tull in concert, and didn't even note Monday's show until a few days ago. Though in doing so, my interest was piqued, I wasn't sure of my attendance at Ravinia until 6pm--for a show that began sharply at 7:30pm without an opening act. Having been checking StubHub for a decently-priced pavilion seat--this has been my wont over the past few years, rather than sit on the lawn without a view of the stage, particularly on a rainy day--I was going to pass on the best option of $76, when right around 6:00pm several single seats were posted in Row V of the right front section. 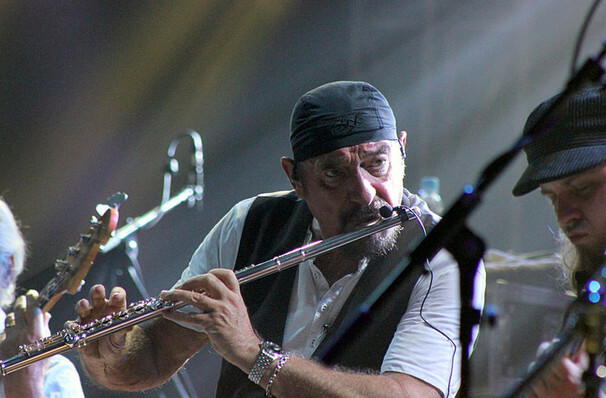 Photos are not from the 9/4/18 Jethro Tull show at Ravinia. For $38, including StubHub fees. For a ticket with a face value of $92 (incl. 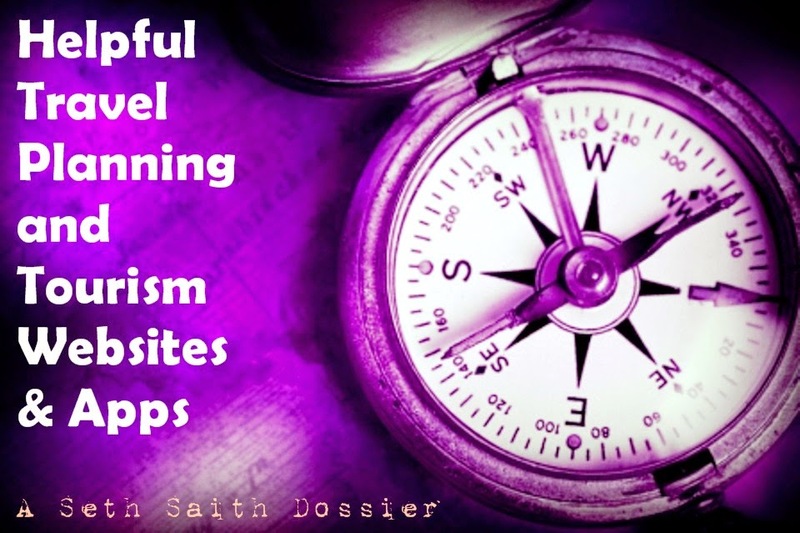 ticketing fees). I wound up sitting next to, and chatting a good bit, with a guy who had done the same thing. 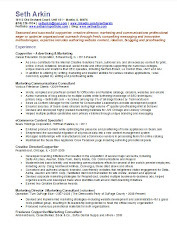 And throughout the approx. 2-hour concert with a 15-minute set break, I abided with the stern request from ushers not to take any photos. So what you see are from other shows and unknown photographers. I should note that the show was officially promoted as "Jethro Tull by Ian Anderson," as the band's longtime singer and flautist--who I essentially think of as Jethro Tull--was the only original or long-term member present. Essentially this seems to mean that in having officially called an end to Jethro Tull in 2011, Anderson had stopped touring with guitarist Martin Barre, who likewise had been in the band since 1968 and remains musically active. 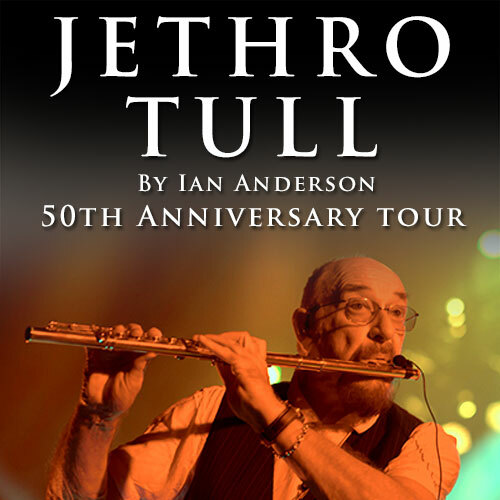 In celebrating Jethro Tull's history by embarking on a 50th Anniversary Tour in 2018--though he's also done JT-dominated sets in recent years--Anderson does not have Barre alongside, and is accompanied by musicians who have been part of his solo tours. 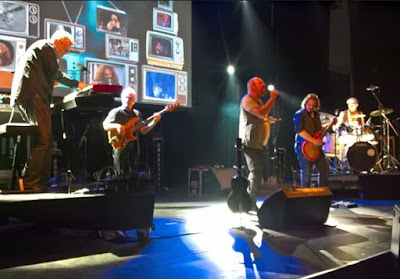 With no disrespect meant to Barre and the "36" other Jethro Tull members over the years--Anderson cited this number from the stage--I will henceforth refer to this as a Jethro Tull concert, prepositional subtitles be damned. 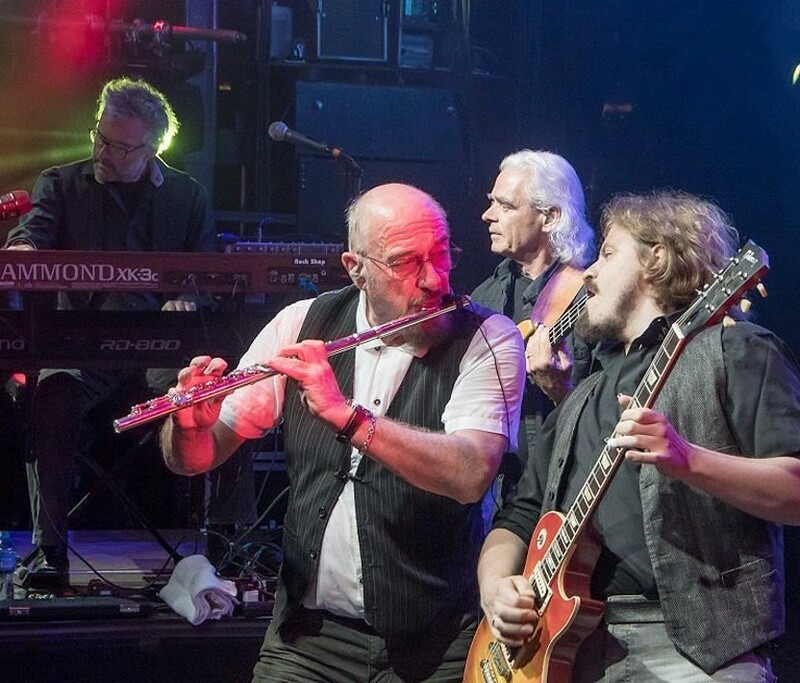 And I enjoyed it as much as a Jethro Tull history lesson as I did a rock concert in the here & now. I don't know what's taken me so long, but it was certainly cool to hear a flute as a major part of a rock band's soundscape. At 71, Anderson remains an affable and enthusiastic fellow, and though not pristinely robust, his singing voice remains singularly identifiable. Across 18 songs, the concert felt akin to a Jethro Tull "rockumentary," opening with song #1 from album #1--Stand Up's "My Sunday Feeling"--accompanied by video imagery dating back to 1968. Throughout the night, somewhat verbose song intros were provided not only by Anderson but--repeatedly via video--past band members. These included Jeffrey Hammond, who aptly introduced "Song for Jeffrey," Mick Abrahams who was shown onscreen prior to the bluesy "Some Day the Sun Won't Shine Without You" and John Evan, who spoke of "Heavy Horses." Guitar great Joe Bonamassa--who covered Tull's "A New Day Yesterday"--shared his affinity before the five band members (including Anderson) played it live, and warm wishes from Tony Iommi--who toured with Jethro Tull briefly in the late '60s before forming Black Sabbath--preceded a great flute-fueled romp through Johann Sebastian Bach's "Bourrée in E minor." Later, other musical fans of the band--Iron Maiden's Steve Harris, Def Leppard's Joe Elliott, Guns 'n Roses' Slash--appeared onscreen. Clearly the point was well made about Jethro Tull's longevity, import and influence, though I really didn't need somebody famous to tell me that "Aqualung" was one of rock's great songs. 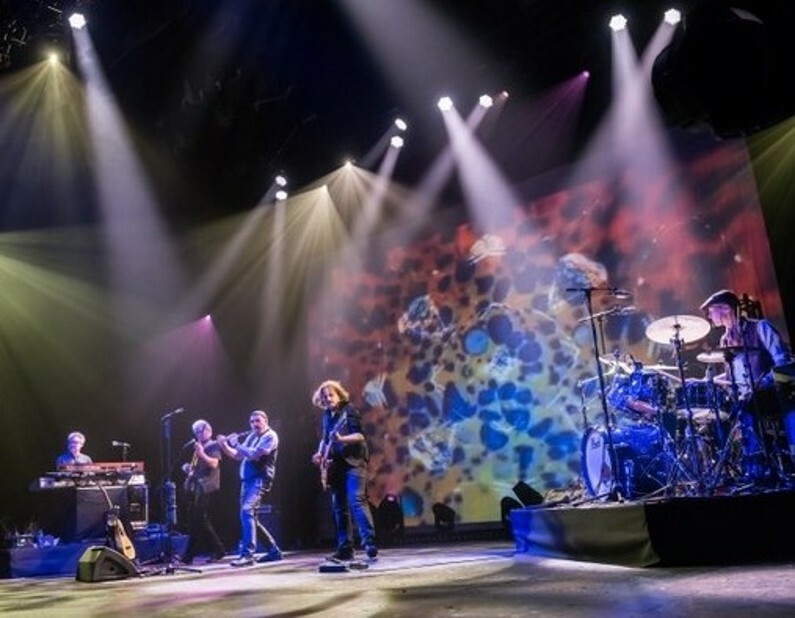 Guitarist Florian Opahle dazzled on that masterpiece, but while it was one of the show's clear highlights, I was a bit puzzled by Anderson dueting with a recorded singer. I'm not sure if the other singer was Anderson in his younger days, as the guy on video shown to be singing really didn't look like him. It was strange, and had I been on the screen-less lawn, I would have been even more confused. Anderson also dueted with a video recording of a woman on "Heavy Horses," and if he credited who she was, I didn't catch it. As noted at top, I can't claim to be a Jethro Tull devotee. I'm glad I went, with a great seat at a great price, and would certainly dub it a "good concert." But even compared to--just within the past month--first time live excursions into Jeff Lynne's ELO and Paul Rodgers singing songs from Bad Company and Free, the fine history lesson was lesser in terms of overt or nostalgic musical delight. And something did seem a tad off with Anderson's vocals, though not terribly so. Still, a few weeks from celebrating my 50th birthday, it was a fun trip all the way back to 1968. And along with some classic songs and terrific musicianship--see the list of current band members here--I think I can safely say I've now seen the greatest flute player in rock 'n roll history.